Anderson, Jill and Burgess, Hilary (2009) Essential shared capabilities for the whole of the mental health workforce: bringing the educators into the frame. The Journal of Mental Health Training, Education and Practice, 4 (3). pp. 21-29. Araoz, Gonzalo (2009) Carving dreams on marbles lost: the Transatlantic Network On Mental Health and the Arts (TRAMHA). In: White, Kimberley, (ed.) 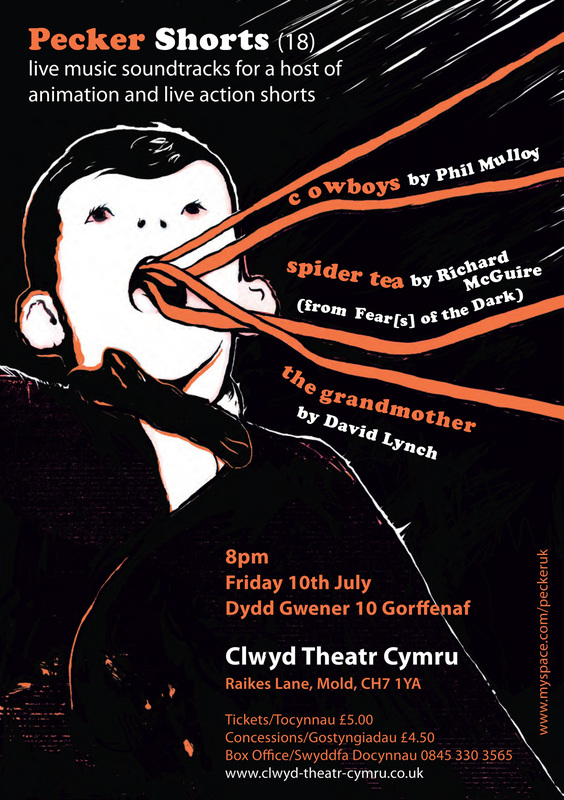 Configuring madness: representation, context and meaning. Inter-Disciplinary, Freeland. Araoz, Gonzalo (2009) Madness in the arts and the art of madness: the Transatlantic Research Network on Mental Health and the Arts (TRAMHA). International Journal of the Arts in Society, 4 (4). pp. 153-160. Balshaw, Thomas, Bampouras, Theodoros, Barry, Timothy and Sparks, S. Andy (2009) Acute effects of taurine ingestion on maximal middle-distance running performance. Journal of Sports Sciences, 27 (S2). S43-S44. Bampouras, Theodoros and Marrin, Kelly (2009) Comparison of two anaerobic water polo-specific tests with the Wingate test. Journal of Strength and Conditioning Research, 23 (1). pp. 336-340. Bell, Flo and Peck, Frank (2009) Cumbria Improvement & Efficiency Partnership Fusion Cumbria Learning Lab: Action Learning Programme final report. Bendell, Jem, Collins, Eva and Roper, Juliet (2009) Collaborative engagement for sustainability in the Asia Pacific region: call for papers. Business Strategy and the Environment, 18 (6). pp. 415-416. Bendell, Jem and Ellersiek, Anne (2009) Noble networks? Advocacy for global justice and the "network effect". Civil Society and Social Movements Programme Papers Volume 31. United Nations Research Institute for Social Development (UNRISD), Geneva, Switzerland. Bloxham, Susan (2009) Marking and moderation in the UK: false assumptions and wasted resources. Assessment & Evaluation in Higher Education, 34 (2). pp. 209-220. Bourne, Richard (2009) Governmentality, Witness and the State: Christian Social Criticism with and beyond Yoder and Foucault. In: Bergen, Jeremy M. and Siegrist, Anthony G., (eds.) Power and Practices:. Herald Press, Waterloo, Ontario, pp. 99-116. Bourne, Richard (2009) Seek the peace of the city : Christian political criticism as public, realist, and transformative. Theopolitical visions, 5 . Cascade, Eugene, OR. Boyd, Pete (2009) Peer review of teaching, learning and assessment. In: Gosling, David and O'Connor, Kristine Mason, (eds.) Beyond peer observation of teaching. Staff and Educational Development Association, London, UK, pp. 23-28. Boyd, Pete and Bloxham, Susan (2009) Editorial: Practitioner Research in Higher Education, 3 (1). Practitioner Research in Higher Education, 3 (1). pp. 1-2. Boyd, Pete and Lawley, Liz (2009) Becoming a lecturer in nurse education: the work-place learning of clinical experts as newcomers. Learning in Health and Social Care, 8 (4). pp. 292-300. Boyd, Pete, Smith, Caroline, Lee, Susan, MacDonald, Iain, Bunyan, Paul, Peel, Josephine and Powell-James, Ann (2009) Becoming a health profession educator in a university: the experiences of recently-appointed lecturers in nursing, midwifery and the allied health professions. Higher Education Academy Health Sciences and Subject Practice Centre, London, UK. Burton, Robert, Schwartz, Gerard, Brown, Karen, Convery, Ian and Mansfield, Lois (2009) The future of public goods provision in upland regions: learning from hefted commons in the Lake District, UK. In: Bonn, Aletta, Allott, Tim, Hubacek, Klaus and Stewart, Jon, (eds.) Drivers of environmental change in uplands. Routledge Studies in Ecological Economics series . Routledge, Taylor & Francis, Abingdon, UK, pp. 309-322. Clapham, Melanie, Nevin, Owen, Ramsey, Andrew D. and Sinclair, Billy (2009) Connectivity in brown bear populations: an assessment of gene flow in coastal British Columbia. In: 2nd European Congress of Conservation Biology (ECCB), 1-5 September 2009, Czech University of Life Sciences, Prague, Czech Republic. Cox, Diane and Araoz, Gonzalo (2009) The experience of therapy supervision within a UK multi-centre randomized controlled trial. Learning in Health & Social Care, 8 (4). pp. 301-314. Cox, Diane, O'Brien, Vincent, Harris, Helen, Marrs, Jennifer, Scott, Sarah and Travers, Pam (2009) The experience of Cumbria Condition Management Programme: a qualitative study. Cumbria Partnership NHS Foundation Trust, Carlisle. Dalgarno, Gordon (2009) Effects on muscles in the body through listening to music and emotional responses. In: Research FEST 2009, July 2009, University of Cumbria. Dixon, Jane (2009) The use and development of ‘Teachers’ TV’ to support initial teacher training and in-service teachers’ continuing professional development. In: Jackson, Alison, (ed.) Innovation and development in initial teacher education: conference proceedings. Higher Education Academy Education Subject Centre ESCalate, Bristol, UK, pp. 142-145. Dogra, Nisha, Cavendish, Sue, Anderson, Jill and Edwards, Ruth (2009) Service user perspectives on the content of the undergraduate curriculum in psychiatry. Psychiatrist, 33 (7). pp. 260-264. Donovan, Tim and Manning, David J. (2009) Reverse hierarchy theory and medical image perception. Proceedings of SPIE, 7263 . Hall, Toni and Cox, Diane (2009) Clinical supervision: an appropriate term for physiotherapists? Learning in Health and Social Care, 8 (4). pp. 282-291. Halsall, Martyn (2009) Everest, the Final Furlong: Completing a PhD. In: Research FEST 2009, July 2009, University of Cumbria. Halsall, Martyn (2009) The Lost Boy: Hartley Coleridge as a Symbol of Romantic Division. In: Research FEST 2009, July 2009, University of Cumbria. Hurford, Donna and Read, Andrew (2009) “I already know how I feel about this”: using assessment to encourage criticality. In: Inman, Sally and Rogers, Maggie, (eds.) Papers presented at UK Conference July 2009 on Developing Critical Perspectives on Education for Sustainable Development Global Citizenship in Initial Teacher Education. UK Teacher Education Network for Education Sustainable Development/Global Citizenship, Glasgow, pp. 84-93. Hymer, Barry (2009) Beyond compare? Thoughts towards an inclusional, fluid, and non-normative understanding of giftedness. In: Balchin, Tom, Hymer, Barry and Matthews, Dona J., (eds.) The Routledge international companion to gifted education. Routledge, Abingdon, UK, pp. 299-307. Jones, Paul A., Bampouras, Theodoros and Marrin, Kelly (2009) An investigation into the physical determinants of change of direction speed. Journal of Sports Medicine and Physical Fitness, 49 (1). pp. 97-104. Lean, Patti and Phillips, Kevin (2009) Memory's images. Unipress Cumbria, Lancaster, UK. Ledwith, Margaret (2009) Participatory practice: community-based action for transformative change. Policy Press. Logan, Elaine (2009) Self and peer assessment in action. Practitioner Research in Higher Education, 3 (1). pp. 29-35. Longstaffe, Stephen (2009) Shakespeare's literary and cultural contexts. In: Hiscock, Andrew and Longstaffe, Stephen, (eds.) The Shakespeare handbook. Literature and Culture Handbooks . Bloomsbury / Continuum, London, UK, pp. 46-68. Mailer, Liz (2009) Getting published: a beginner’s guide. In: Research FEST 2009, July 2009, University of Cumbria. Marcangelo, Caroline and Gibbon, Carolyn (2009) Problem based learning evaluation toolkit. Higher Education Academy Health Sciences and Practice Subject Centre. Murphy, David F. (2009) Study on the UNICEF-UNILEVER Partnership for Hygiene Promotion in Primary Schools in Nigeria: final report. UNICEF Nigeria, Abuja, Nigeria. Murphy, David F. and Ng'ombe, Austine (2009) Corporate social responsibility. In: Werna, Edmundo, Keivani, Ramin and Murphy, David F., (eds.) Corporate social responsibility and urban development: lessons from the South. Palgrave Macmillan, London, UK, pp. 7-33. Peck, Frank and Cabras, Ignazio (2009) Impacts of agglomeration on call centre operations: evidence from North West England. Regional Studies, 43 (7). pp. 923-934. Peck, Frank, Jackson, Keith, Bloomer, Daniel and Murphy, Ginny (2009) Cumbria Economic Bulletin - September 2009. University of Cumbria Centre for Regional Economic Development with Cumbria Intelligence Observatory. Pietrzyk, Mariusz W., Manning, David J., Dix, Alan and Donovan, Tim (2009) Spatial frequency characteristics at image decision-point locations for observers with different radiological backgrounds in lung nodule detection. Proceedings of SPIE, 7263 (72630I). Poole, Robert (2009) Book review: Loyalism and radicalism in Lancashire, 1798-1815. English Historical Review, 124 (510). pp. 1183-1185. Poole, Robert (2009) French revolution or peasants' revolt? Petitioners and rebels in England from the Blanketeers to the Chartists. Labour History Review, 74 (1). pp. 6-26. Poole, Robert (2009) Review article: Radicalism and protest. Reviews in History, 2009 . Poppitt, Nicola J. and Iqbal, Yasser (2009) Formative feedback in a Business School: understanding the student perspective. Practitioner Research in Higher Education, 3 (1). pp. 3-10. 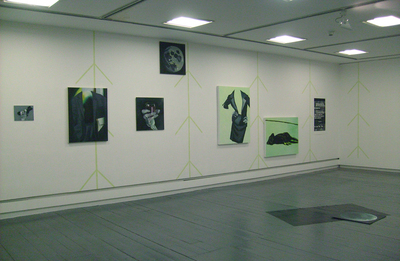 Pullini, Andrew S., Baldi, Andras, Can, Ozgun Emre, Dieterich, Martin, Kati, Vassiliki, Livoreil, Barbara, Lövei, Gabor, Mihok, Barbara, Nevin, Owen, Selva, Nuria and Sousa-Pinto, Isabel (2009) Conservation focus on Europe: major conservation policy issues that need to be informed by conservation science. Conservation Biology, 23 (4). pp. 818-824. Renwick, Anne and Savage, Lin (2009) Initial teacher education - a sabre tooth tiger curriculum? The evolving role of the teacher in Children’s Centres: implications for changes in initial teacher education. In: Jackson, Alison, (ed.) Innovation and development in initial teacher education: conference proceedings. Higher Education Academy Education Subject Centre ESCalate, Bristol, UK, pp. 170-177. Sahiner, Berkman and Manning, David J. (2009) Medical Imaging 2009: Image Perception, Observer Performance, and Technology Assessment. Proceedings of SPIE, 7263 . Society of Photo-optical Instrumentation Engineers (SPIE). Small, Katie, McNaughton, Lars, Greig, Matt and Lovell, Ric (2009) Effect of timing of eccentric hamstring strengthening exercises during soccer training: implications for muscle fatigability. Journal of Strength and Conditioning Research, 23 (4). pp. 1077-1083. Smith, Paul (2009) Utilitarianism. Dialogue: a journal of religion and philosophy, 32 . 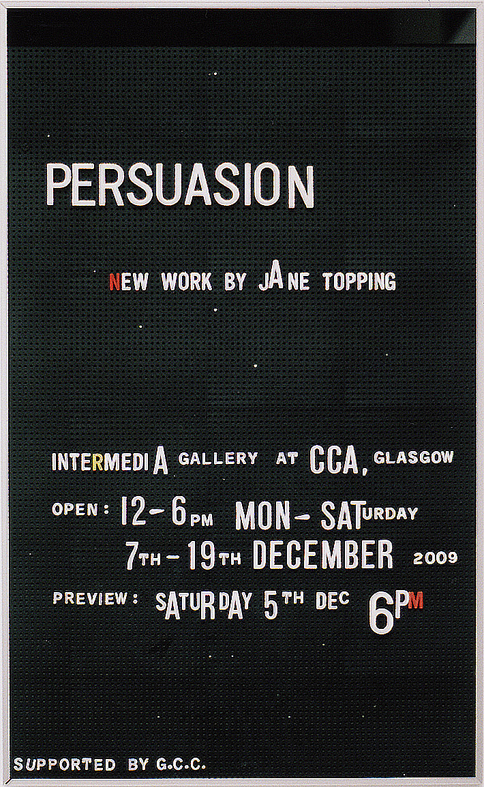 Topping, Jane (2009) Persuasion. 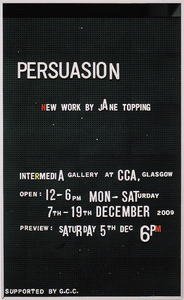 [Show/Exhibition] In: Persuasion, 5-19 December 2009, Intermedia at CCA, Glasgow, UK. Tsoutsos, Theocharis, Kouloumpis, Viktor, Zafiris, Thodoris and Foteinis, Spyros (2009) Life cycle assessment for biodiesel production under Greek climate conditions. Journal of Cleaner Production, 18 (4). pp. 328-335.
van Herwerden, Lynne, Aspden, William, Newman, Stephen J., Pegg, Graham, Briskey, Leica and Sinclair, Billy (2009) A comparison of the population genetics of Lethrinus miniatus and Lutjanus sebae from the east and west coasts of Australia: evidence for panmixia and isolation. Fisheries Research, 100 (2). pp. 148-155. Weatherall, Andrew (2009) Food, wood or fuel? Where is the land for growing dedicated energy crops in the United Kingdom. Forestry Journal (5). pp. 26-27. Weaver, Margaret, Holland, Paul and Toner, Lisa (2009) Developing library professionals in a multi-disciplinary support environment at the University of Cumbria. In: Conner, Elizabeth, (ed.) An introduction to staff development in academic libraries. Routledge, London, UK, pp. 90-113. Werna, Edmundo, Keivani, Ramin and Murphy, David F. (2009) Conclusion. In: Werna, Edmundo, Keivani, Ramin and Murphy, David F., (eds.) Corporate social responsibility and urban development: lessons from the South. Palgrave Macmillan, London, UK, pp. 204-215. Werna, Edmundo, Keivani, Ramin and Murphy, David F. (2009) Introduction [Corporate social responsibility and urban development: lessons from the South]. In: Werna, Edmundo, Keivani, Ramin and Murphy, David F., (eds.) Corporate social responsibility and urban development: lessons from the South. Palgrave Macmillan, London, UK, pp. 1-6. Werna, Edmundo, Keivani, Werna and Murphy, David F. (2009) Corporate social responsibility and urban development: lessons from the South. Palgrave Macmillan. Whitehead, Jack (2009) Generating living theory and understanding in action research studies. Action Research, 7 (1). pp. 85-99. Wilson, Edward R. and Leslie, Andrew (2009) Sustainable forest management. Geography Review, 22 (4). pp. 8-13. Wright, Ruth and Sugarman, Leonie (2009) Occupational therapy and life course development: a work book for professional practice. Wiley-Blackwell. This list was generated on Mon Apr 22 16:04:34 2019 UTC.